As he stared out over the dark, wintry Atlantic Ocean, Emerson may well have had The Rime of the Ancient Mariner in mind. 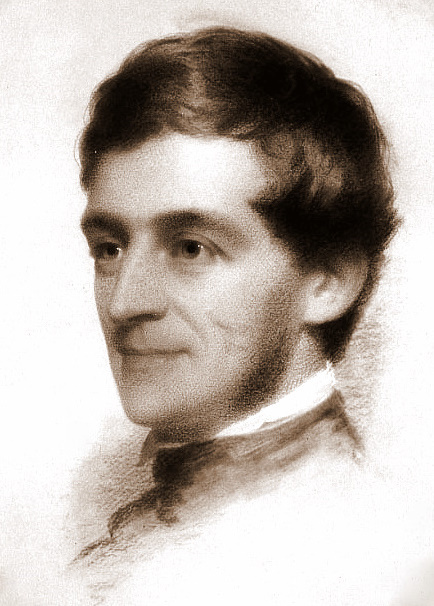 Emerson’s confessed aim was, after all, to meet face-to-face with a number of his intellectual heroes, including Samuel Taylor Coleridge and William Wordsworth. Already he had taken a great interest in poetry and philosophy, though at that point he had written little of great merit. But his interests had guided him to Europe and to British Romanticism, to Wordsworth and to Coleridge. By early 1833, the year in which Emerson arrived in England, Wordsworth and Coleridge were already well established as poets and thinkers, and were celebrated members of the British literary scene. The two had lived in close company over thirty years prior, first as neighbours in Nether Stowey in Somerset, next in neighbouring villages in the Lake District. It was in Somerset that they had collaborated on their great joint work, the Lyrical Ballads of 1798. That work was a collection of the two men’s poetry, which aimed to “choose incidents and situations from common life, and to relate or describe them, throughout, as far as was possible in a selection of language really used by men” (as Wordsworth put it in his famous ‘Preface’ to the Lyrical Ballads). Its influence was — and still is — enormous; its emphasis on religious encounters with nature, its attempts to sketch and to capture fleeting moments of vivid feeling, and its choice of an ‘ordinary’ language over elevated poetic diction helped to set into motion the literary and artistic notions that add up to our modern invention of ‘Romanticism’. We cannot imagine a Romantic canon without Coleridge’s Ancient Mariner, or Wordsworth’s sombre reflections in ‘Lines Written a Few Miles Above Tintern Abbey’. It established the two young poets as serious artists and thinkers, and signifies one of the happier, more harmonious, and most productive moments in both men’s lives. But, by 1833, Wordsworth and Coleridge were changed men. They had all but fallen out of contact, and the idyllic life of a poet amongst nature was over for Coleridge, who had long since moved to London. After the early days with Wordsworth, he had suffered ongoing battles with opium addiction, weight gain and loss, unhappy marriage, unrequited love, the death of a child, and near-intolerable depression. He was publishing much, though his work was met with tepid reviews, and he would never fully recapture the glory of the 1790 period. He had lived in London for much of his life after the early years of the nineteenth century, which was when his relationship with Wordsworth had first begun to sour. Coleridge was in love with Wordsworth’s sister-in-law, but he had his own wife and children to think about and to care for. The Wordsworths felt Coleridge was neglecting his responsibilities as husband and father, and saw that he was growing increasingly selfish. His ongoing relationship with opium made him difficult company, but it was not until 1810 that the bitterest blow was dealt to Wordsworth and Coleridge’s friendship. Coleridge caught wind of rumours that Wordsworth had been describing him, amongst other things, as an unreliable “drunkard”; humiliated, Coleridge returned to London and temporarily cut off contact with the Lakes. Though they would be reconciled some years later and would go on to speak of each other with some affection, their friendship never regained its former profound closeness. His encounter with Wordsworth would prove a little more satisfying, beyond mere curiosity, and it apparently spanned several hours. It was a few weeks after he’d met Coleridge, and in the meantime Emerson had travelled up to Scotland to meet Thomas Carlyle and to indulge in the beauty of the northern landscape. From Scotland, Emerson travelled south once again towards Rydal Mount in the Lake District, where Wordsworth had been living with his family for more than twenty years. The family unit there comprised Wordsworth’s wife Mary, his sister Dorothy, and three of his surviving children: John, Dora, and William (though it is often forgotten that another child survived, a daughter from a youthful fling in France to whom Wordsworth was still sending a yearly allowance). He walked along rural tracks and across windswept fields before Rydal Mount became visible on the horizon, nestled into the thickly forested hillside. He walked up the path and knocked, unannounced. Emerson refers to meeting Wordsworth’s ‘daughters’, but he must have been mistaken — Catherine Wordsworth had died the same year as Wordsworth’s other son, Thomas, leaving Dora as the sole surviving daughter. Emerson then sees Wordsworth for the first time: “a plain, elderly, white-haired man, not prepossessing, and disfigured by green goggles”. These ‘goggles’ were a pair of the tinted spectacles Wordsworth took to wearing in later life, out of concern that he was losing his vision. They are missing from our common image of the poet, and from the numerous portraits of him, and it is strange to think of the eye that so famously saw “into the life of things” hidden behind an ungainly set of corrective lenses.